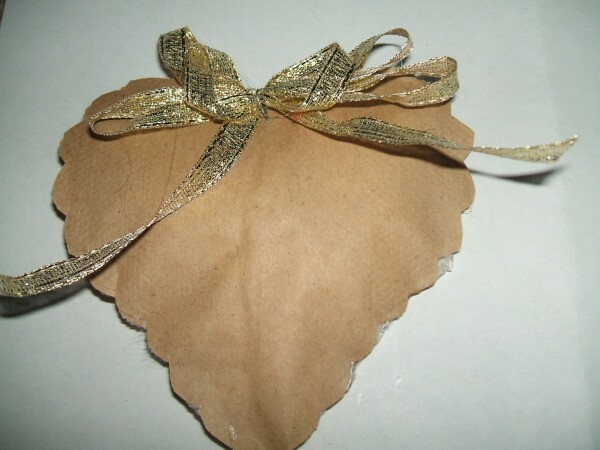 This cotton stuffed brown paper heart decoration is inexpensive and easy to make. 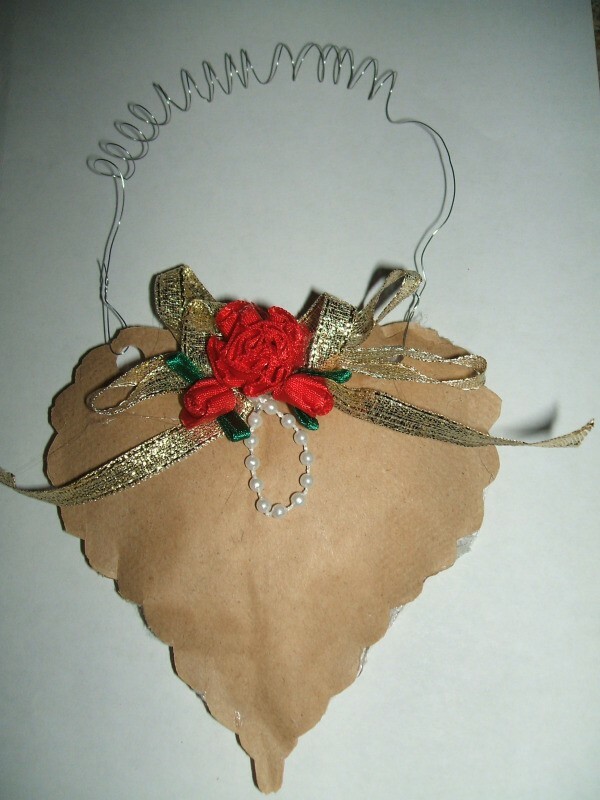 This is a guide about brown paper hanging heart decoration. Create an inexpensive hanging heart decoration from a brown paper bag or brown craft paper. 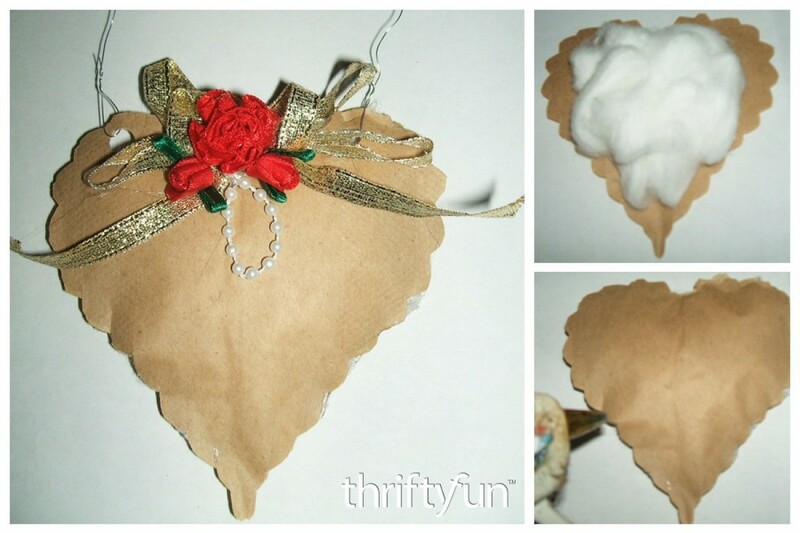 You could also use a white lunch bag, wrapping paper, scrapbook paper, or construction paper to create your hanging heart. Embellish it with whatever items you have on hand. 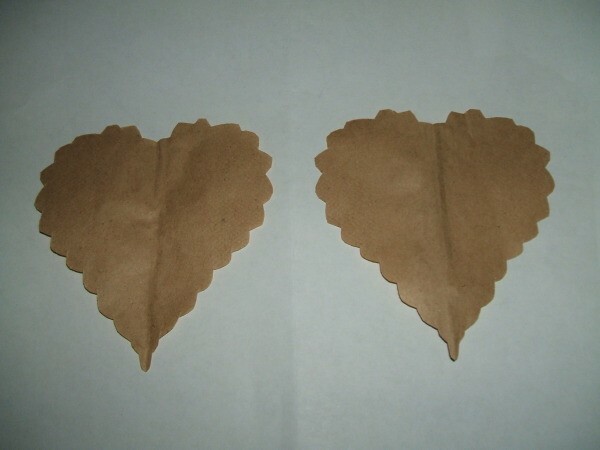 Cut 2 scalloped hearts from a brown paper bag or craft paper (the kind used for mailing) that measure 3 1/2 inches wide by 4 inches long. 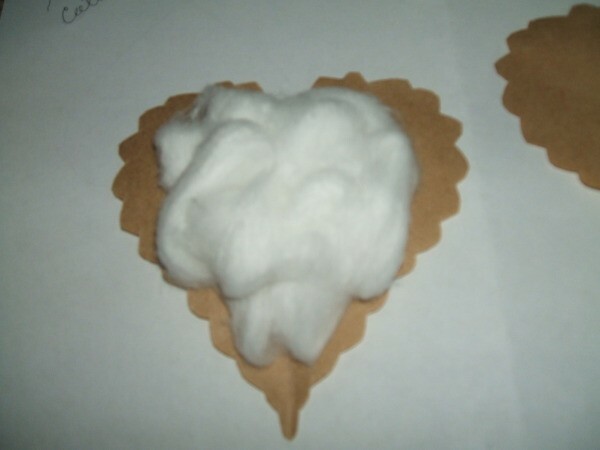 Pull cotton balls apart to flatten them and use as stuffing for the heart. Place the cotton in the center of one of the hearts and glue the other heart on top, aligning the scalloped edges so they match up. 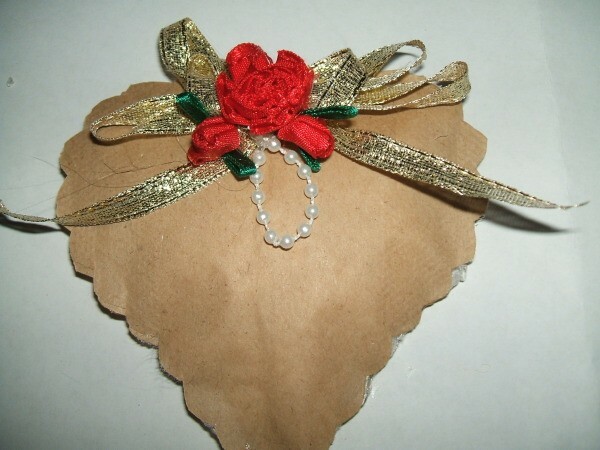 Decorate the heart using a ribbon bow, some ribbon flowers, and pearls. 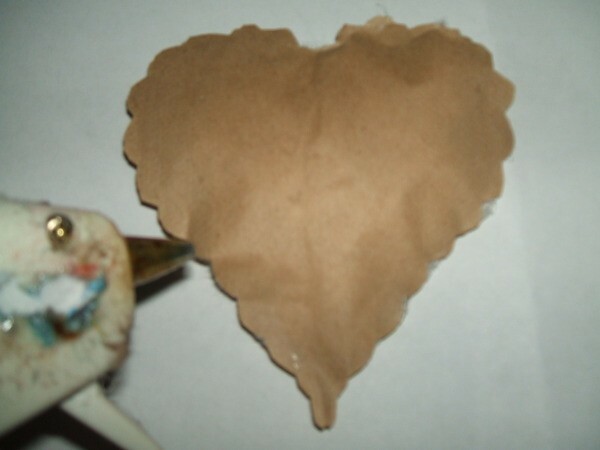 Use a hole punch or scissors to create two holes at the top center of each of the two rounded edges of the heart. 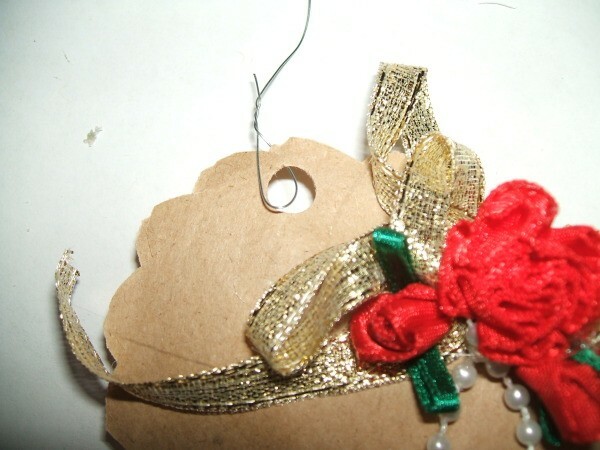 Thread wire through one of the holes and twist it so it is secure. Wrap the remaining length of wire around a pencil, then remove pencil so it is "springy". Thread the other end of wire through the other hole and twist to secure it. Your heart is now ready to hang. Very pretty and very thrifty!